POPNOLOGY. It’s a portmanteau made from POPular culture and techNOLOGY. 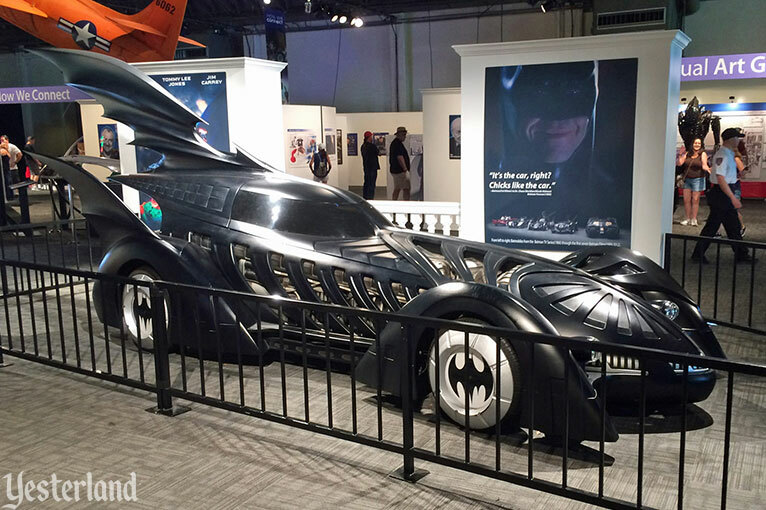 Popnology is a 33,000-square-foot exhibit at the 2015 Los Angeles County Fair (LACF), running from September 4 to 27 at the Fairplex in Pomona, California. It’s about how technological advances and pop culture have influenced each other. 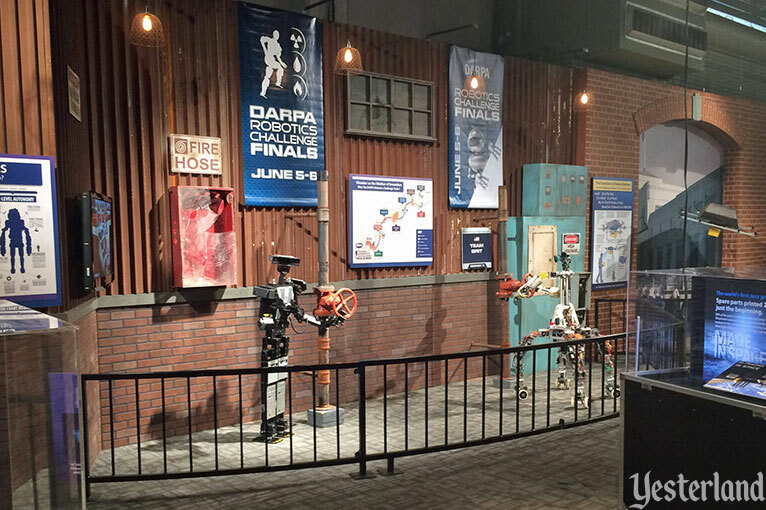 I’m looking forward to visiting Popnology before LACF closes. Michael Converse, exhibit designer for LACF, is one of the people responsible for Popnology; he took the photos and offers his insight in this article. There’s a real Disneyland connection—and a Yesterland connection. Popnology is free with LACF admission. Considering how inexpensive it is, it seems that Popnology alone might be worth the price of LACF admission. 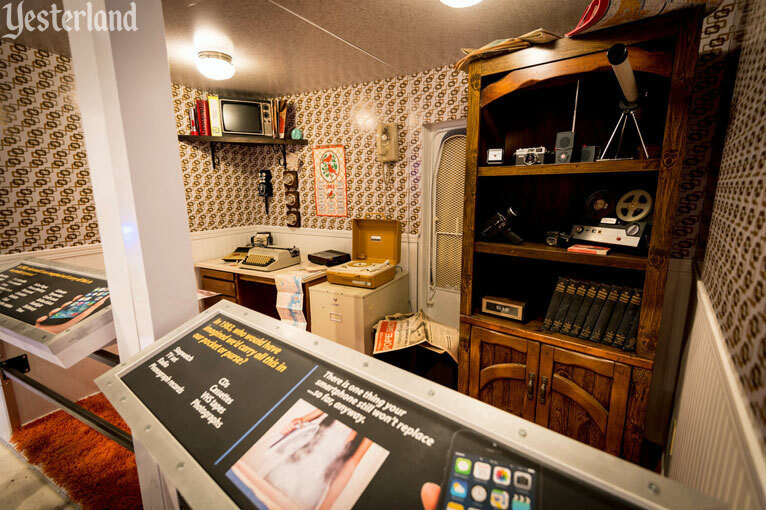 One of the exhibits at Popnology is a room with a television, a record player, a tape recorder, a set of encyclopedias, a newspaper, a camera, a calendar, a map, a typewriter, and other common items. What a clever idea! LACF designer Michael Converse gives full credit to Troy Carlson and his crew at Stage Nine Exhibit Design. 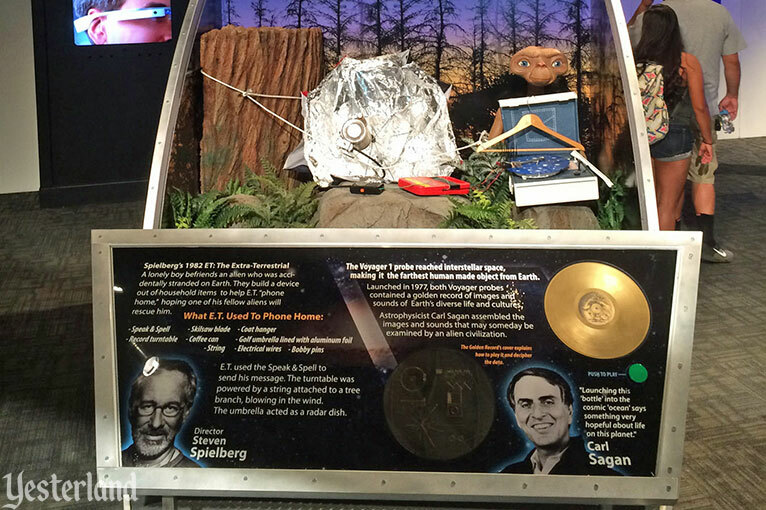 The core of Popnology is a traveling exhibit designed by Stage Nine. The core exhibit from Stage Nine fits into as little as 8,000 square feet. At LACF, it’s more than four times that size. Although it’s not an exhibit about Disney, Popnology at LACF has quite a few references to Walt Disney and Disneyland. That’s not surprising, given how Walt Disney was a pop culture visionary who advanced and promoted technology. One of the LACF enhancements features the Monsanto House of the Future, the incredibly cool residential showcase at Disneyland from 1957 to 1967. It was not only constructed and furnished almost entirely with synthetic materials, but its design aesthetic threw traditional styles out the window in favor of a sleek “Space Age” look. Yesterland’s article about it has been one of the site’s most popular since 1996. 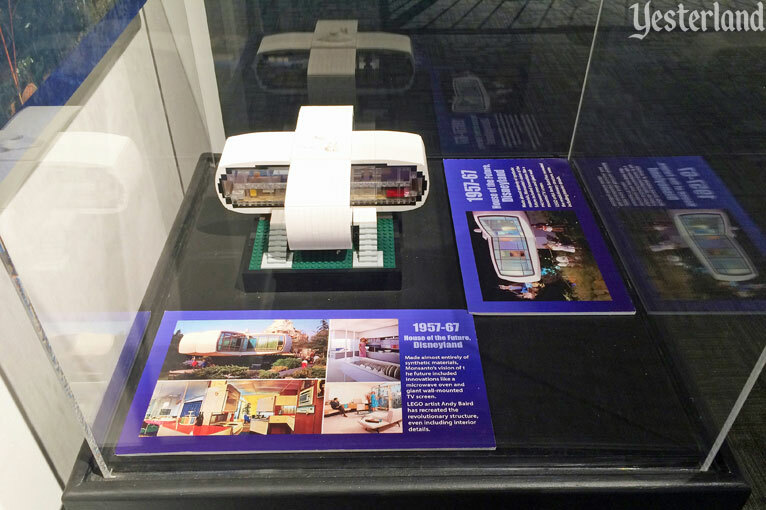 The artifact in the case is the brilliant LEGO rendition of House of the Future by Andy Baird—first publicly shown in a Yesterland article, LEGO House of the Future, on July 10, 2015. Converse moved quickly to add the LEGO model to Popnology after spotting it at Yesterland. EPCOT was Walt Disney’s concept for an Experimental Prototype Community of Tomorrow, long before the name was attached to Walt Disney World’s second theme park, EPCOT Center (now simply Epcot). 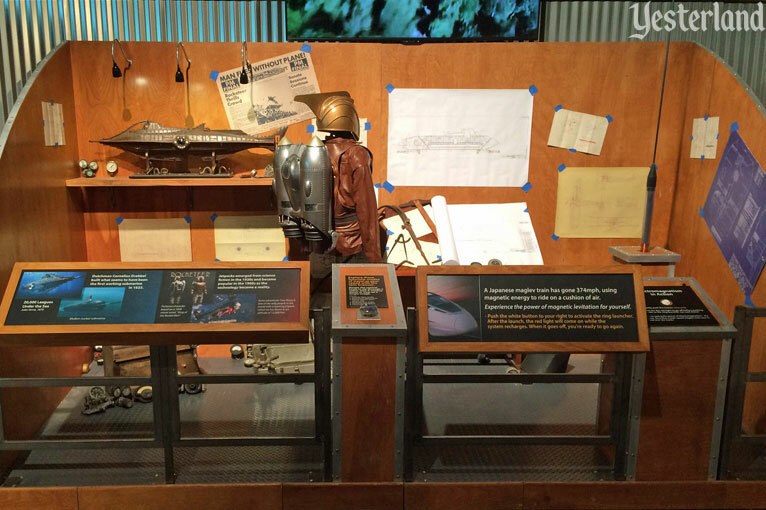 Disney Legend Bob Gurr exemplifies the connection between pop culture and technology. For example, using the utilitarian monorail concept from ALWEG of Cologne (Köln), Germany as his starting point, Gurr developed a design that could have come from a science fiction movie of that era. It captured the imagination of the public. 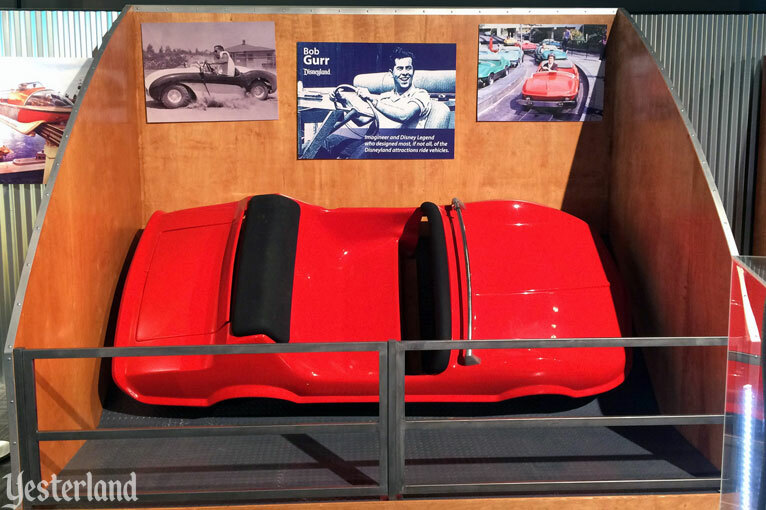 Bob Gurr designed the Mark VII Autopia car in mid-1967. Its body predicted the 1968 Corvette. Guests admired the sleek design, while Disneyland’s maintenance people admired its reliability and durability. For kids, it wasn’t boring like the cars their parents drove. At least one of the artifacts without an obvious Disney connection is “from Yesterland” anyway. Test pilot Chuck Yeagar broke the sound barrier on October 14, 1947, in the experimental Bell X-1. He named it Glamorous Glennis after his wife. The actual aircraft hangs in the Smithsonian Air and Space Museum in Washington, D.C. The original designers of Disney California Adventure thought it would be a good idea to bolt a reduced-size replica of the history-making rocket plane to the exterior of a restaurant celebrating test pilots, Taste Pilots’ Grill. But by 2012, it must no longer have seemed like such a good idea. 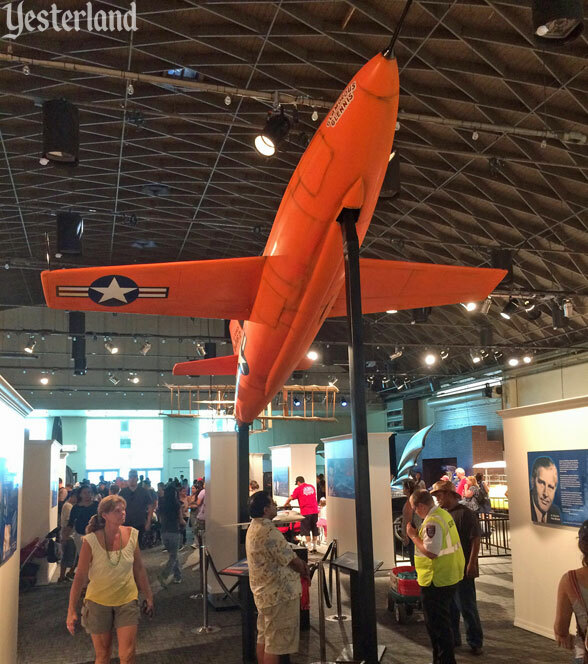 The Disney Company donated the replica to the Planes of Fame Air Museum in Chino Hills, California. The replica is now on loan to Popnology. The PeopleMover trains of Tomorrowland premiered in 1967. They were another Bob Gurr design. 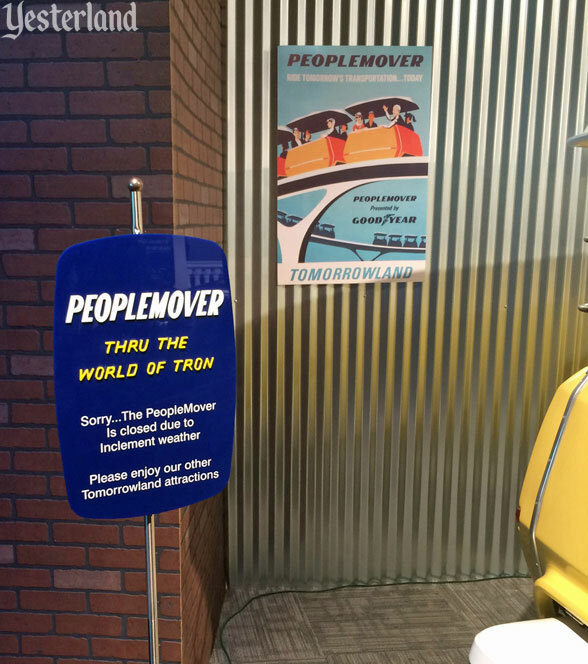 The term PeopleMover was supposed to be a temporary name until someone at Disney could come up with the real name. The name PeopleMover stuck. It’s now almost a half century later. We generically refer to horizontal transports at airports as people movers. Popular culture at Disneyland has become an everyday reality. 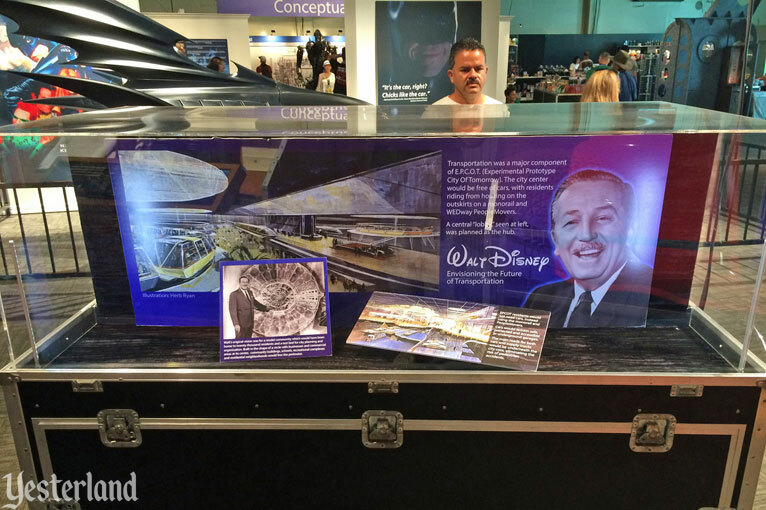 The system installed at Houston (now George Bush) Intercontinental Airport in 1981 was built by Disney. 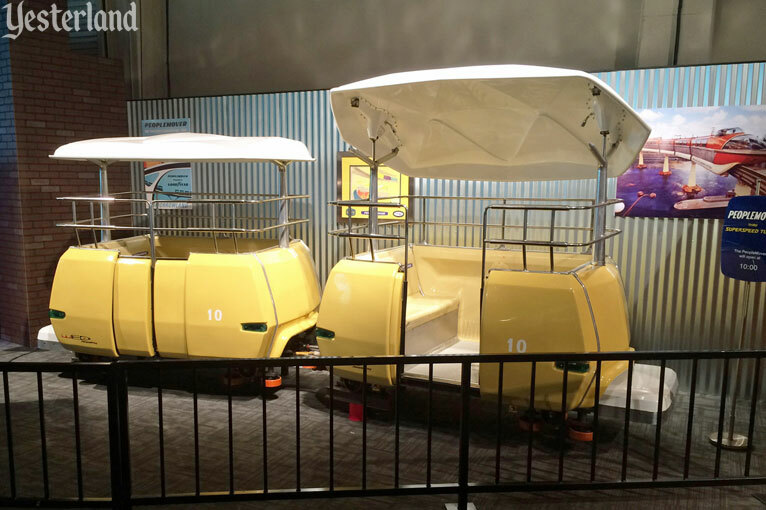 The PeopleMover cars at Popnology where painstakingly restored by their owner, Kevin Doherty. 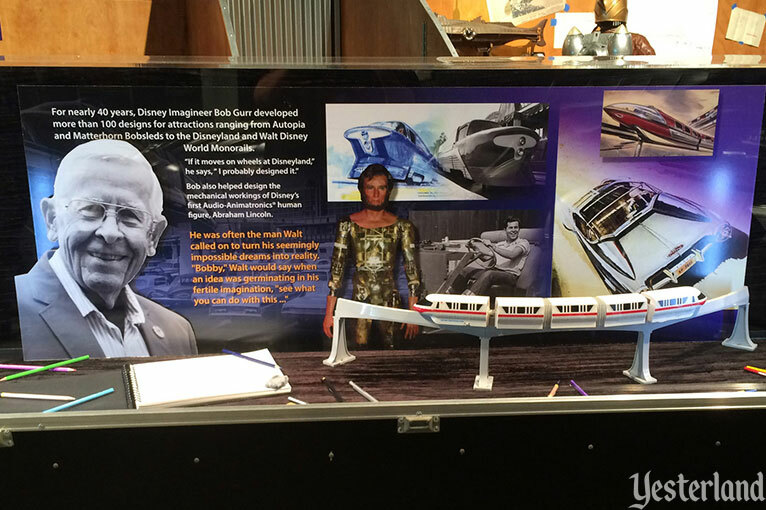 They were also displayed at the recent D23 Expo. 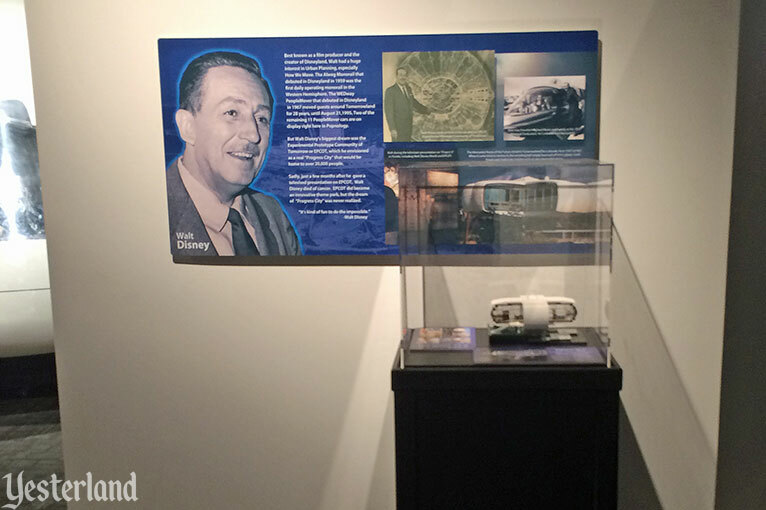 ”The Inventors’ Studio talks about a maglev [magnetic levitation] high-speed train, a concept that Walt Disney, as a visionary of transportation, would have surely loved,” observes Converse. Newer technology makes it possible to improve how science fiction is rendered. 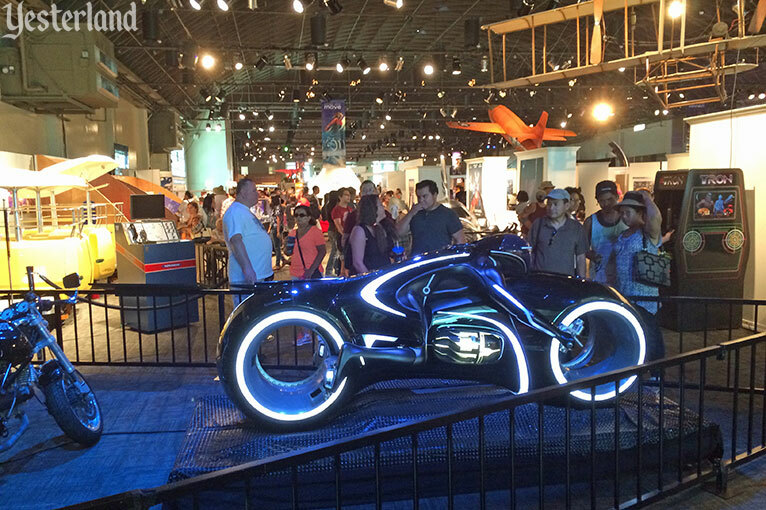 “The TRON Legacy Lightcycle is an iconic design originally envisioned by Syd Mead for the first TRON film, but the limitations of computer graphics at that time made the rendering of the rider fused with the vehicle too difficult,” explains Converse. “In 2010, TRON Legacy designer Daniel Simon took Syd Mead’s original concept and brought it brilliantly to fruition.” Converse is grateful to the Walt Disney Archives for the loan of the TRON motorcycles. The Batmobile has unusual wheel covers that remain level even when the vehicle is moving. The Batman symbol does not spin with the tires. “Look Dave, I can see you’re really upset about this. I honestly think you ought to sit down calmly, take a stress pill, and think things over.” It’s memorable dialog from HAL 9000, the errant computer in Stanley Kubrick’s groundbreaking sci-fi movie 2001: A Space Odyssey (1968). 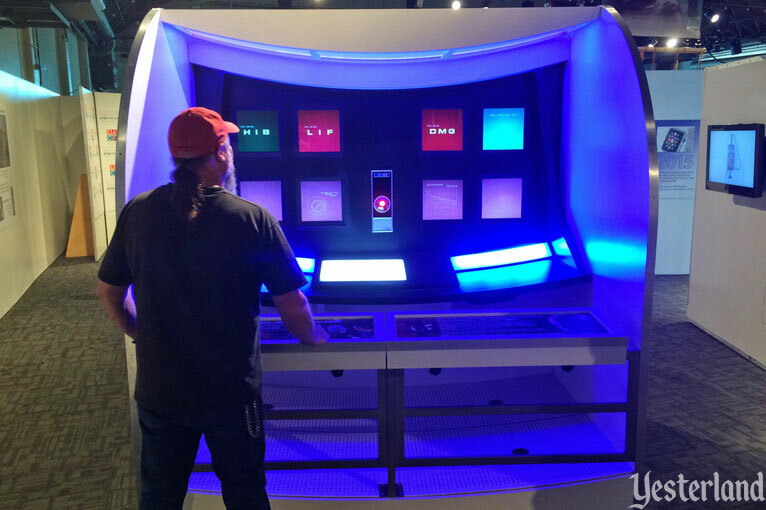 You can have your own conversation with HAL 9000 at Popnology. Back in 1968, people used punch cards to communicate with computers. Now you can talk to Siri on your iPhone—a far more powerful computer than an IBM mainframe of the 1960s. An Amazon Delivery Drone hovers nearby—the next generation of home delivery now being developed. 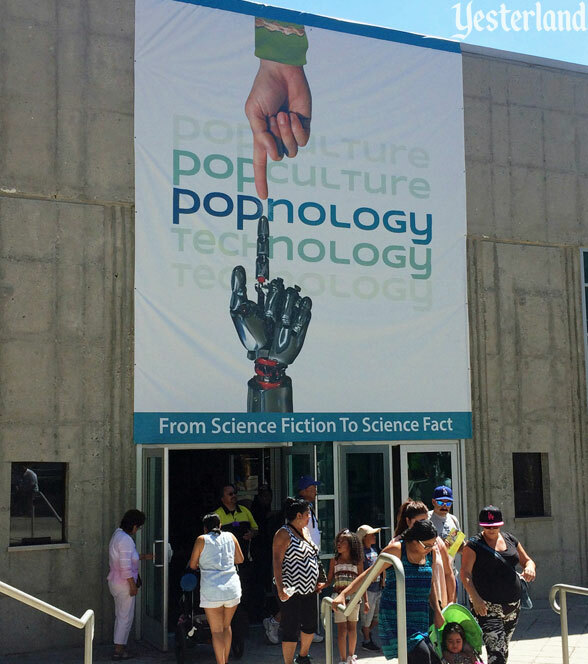 POPnology is on its way to museums and other fairs after it closes at LACF. 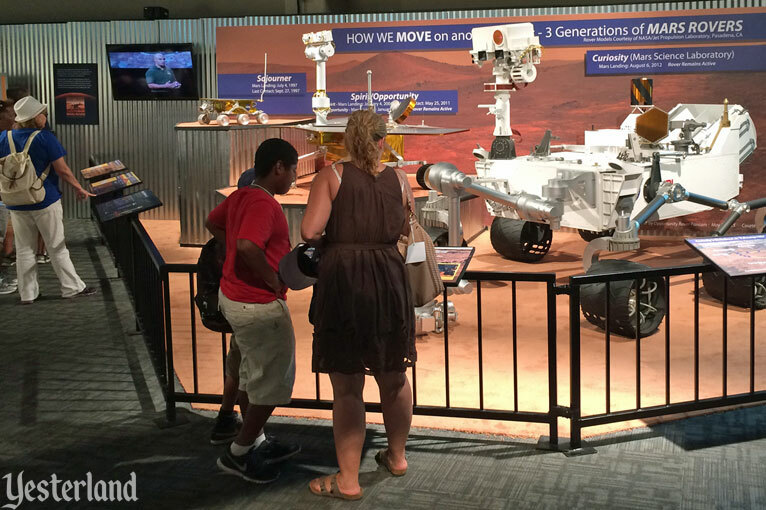 It will be at the Arizona Science Center in Phoenix, Arizona, from January to May 2016. Then it’s on to the Pacific National Exhibition in Vancouver, British Columbia, from August to September 2016. It probably won’t stop there. Presumably, POPnology will also get local enhancements at other locations, if space and budget allow. 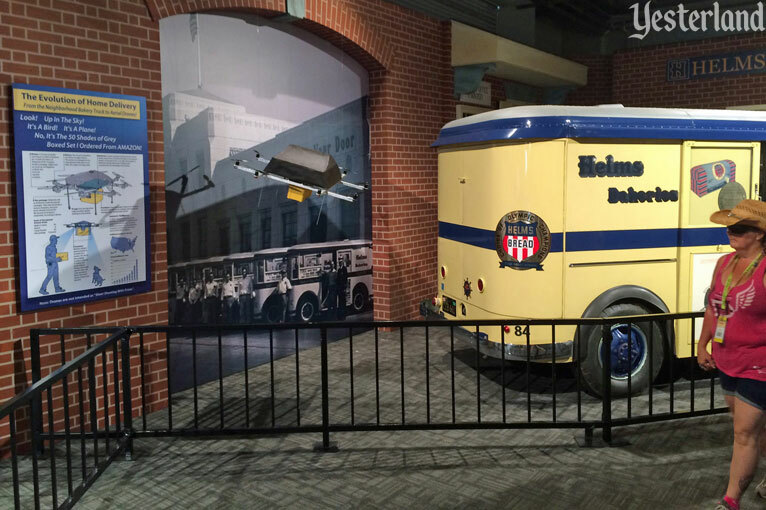 And the exhibit will keep getting better as enhancements become part of the traveling exhibit. Maybe, some time in the future, POPnology will show a real time machine next to the one from the 1960 movie The Time Machine, based on the book by H.G. Wells. Then someone can use it to go back to take all the photos that are missing from Yesterland—as long as the time traveler is careful not to mess up the space-time continuum.